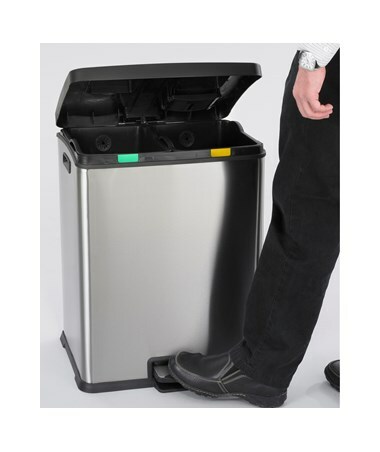 The Safco Right-Size Recycling Station is a hands-free trash bin perfect for recycling and waste disposal with two separate bins. Opening the bin only requires a single step on the pedal and the lid closes slowly and quietly. 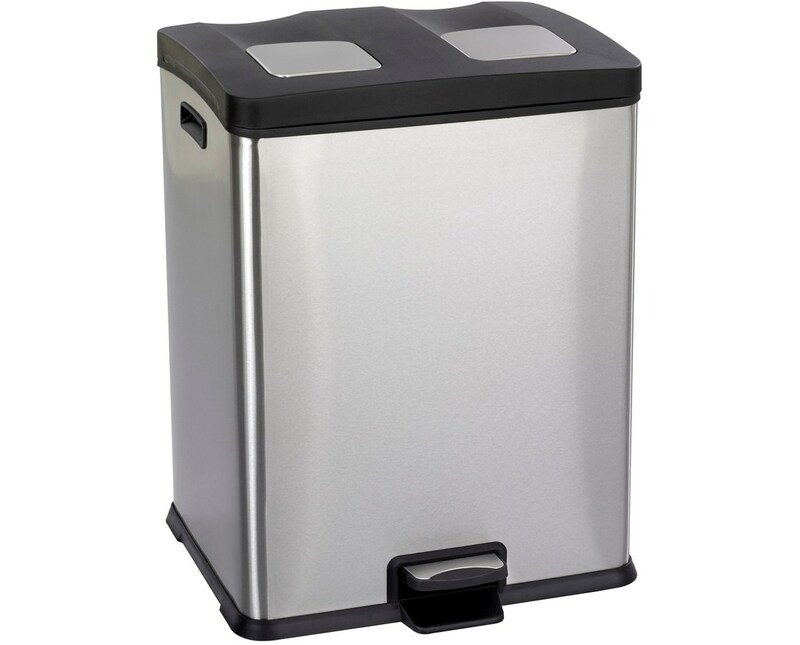 Each bin has a capacity of 7.5 gallons and includes a rigid plastic liner with built-in retainers. 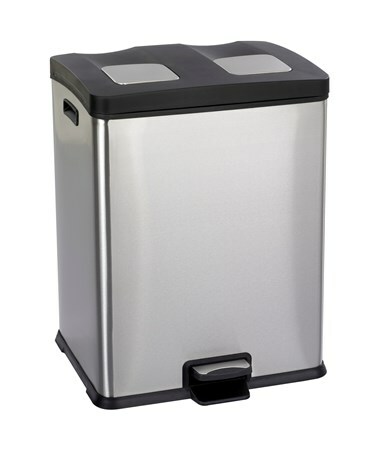 This double trash bin is made of plastic and steel with a stainless finish. It is safe for indoor use and does not emit harmful chemicals.